After a great year of songwriting, performing opportunities and more involvement with ASCAP, I feel that I've prepared myself to take the leap of faith to put all my efforts into Songwriting for the longterm future for me and my Family! I will always have a fashion sense and love to perform my songs in various capacities, but I feel that my writing has grown farther that my voice could ever take me! I realized that some of the best songs that have stayed me long after I've listened to them were the ones that had a great lyrics and melody! The vocal aspect of the songs, whether it be (licks, runs, vocal acrobatics or high notes) of the artists performing were all fleeting as the lyrics and melody were the thing that stuck to me like a hot bowl of oatmeal on a cold winter morning! I want to be that for many people long after I'm done on my journey is done! Some of the artists that have made a mark in my life that I've studied throughout my career are Lionel Richie, Stevie Wonder, Donny Hathaway, Eric Benet India .Arie, and Kenny Loggins! I feel that a great song crosses genres, generations and cultures! I look forward to learning more about this amazing art form from some of todays movers and shakers in the Music Industry! I also look forward to hearing their advice, stories and experiences in this ever changing business! 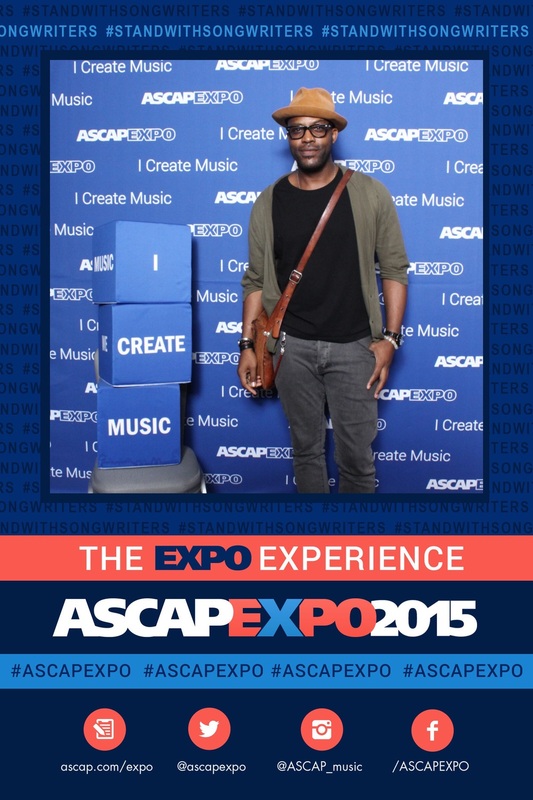 If you or anyone you know going to the ASCAP EXPO 2015 from April 30th- May 3rd please have them reach out to me! I'd love to meet them while I'm there representing the east coast! Till then, wish me luck on this next step in my journey! I CAN'T WAIT! I started a blog because I feel like it was about time given that many have asked me to! I've been blessed to have a unique multifaceted life that is predicated on my family, my career, my friends, and the spontaneity of God's gifts throughout my life! My family consist of a loving Mother who's raised me and my brother on her own from Washington DC to Virginia Beach! She's a rock and a source of a lot of my strength and love in my Music and in my life! My Music career spans nearly 20 years, singing with various artists, singing for various companies, doing voiceovers for various products and commercials! I've toured with artists internationally! I've supported artists on well-known television shows such as Good Morning America and Late Night with Jimmy Fallon! Artists I've supported include, Michael McDonald, Larry Carlton, Keri Hilson, Imagine Dragons, Lucy Woodward, and Alexander Kogan! I've even been casted on NBC The Voice Season 2! Many of you may not of seen me on season two but it was an experience that I will always remember! (I'll save the details for another blog) I was casted in my first featured film, directed by Clint Eastwood (Jersey Boys) What a great experience it was to be directed by the living legend! An experience I will never forget! of 5 years to marry me! We have a beautiful three-year-old son together named Gio! We never wanted to make a big fuss over marriage but we felt that it was good for our family! There is no timetable as to when we will get married but when we do, it won't be a big huge to do! 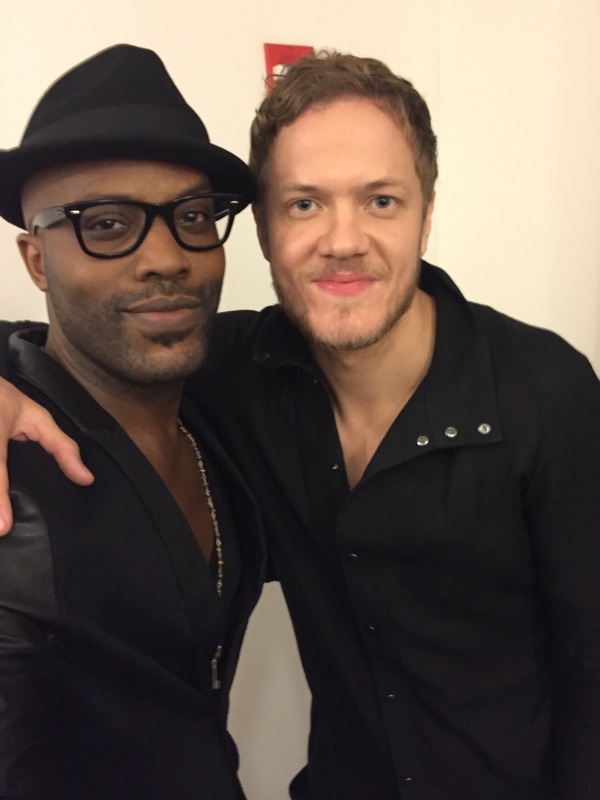 Another wonderful moment that I've had in the month of February was the opportunity to sing with Grammy award-winning band, Imagine Dragons on Good Morning America! It was a wonderful opportunity I was afforded through a good friend of mine, Stephanie Alexander… (Amazing singer in her own right)! It was a wonderful opportunity to sing with some of New York's top session singers! We all got along famously and we laughed and sang as well as shared each other's resume and experiences! Some of the singers included working with the likes of Sting, Madonna, Stevie Wonder, Mary J Blige, Beyoncé, Taylor Swift, as well as on tour with various superstars! As far as my Music is concerned, I just released my latest song on Sound Cloud and YouTube! "When Will It End" deals with things that ail our society as a whole and offers a peaceful plea to be a better people!